Our beloved pets often spend a lot of time hanging out at home. This isn't just where they eat and sleep, this is also the place where they spend long hours playing or simply waiting patiently for their owners to come home and show them some love! So, clearly, it's super important to make your home pet-friendly. But what are some of the most common ways to do just that? Well, here at homify we have lots of professionals and fantastic interiors to show you just how it's done. So, without further ado, welcome to 7 ways to make your home more pet-friendly! House pets can get destructive if they're bored, so they really need a play area. This apartment really has the ideal setup for a cat. 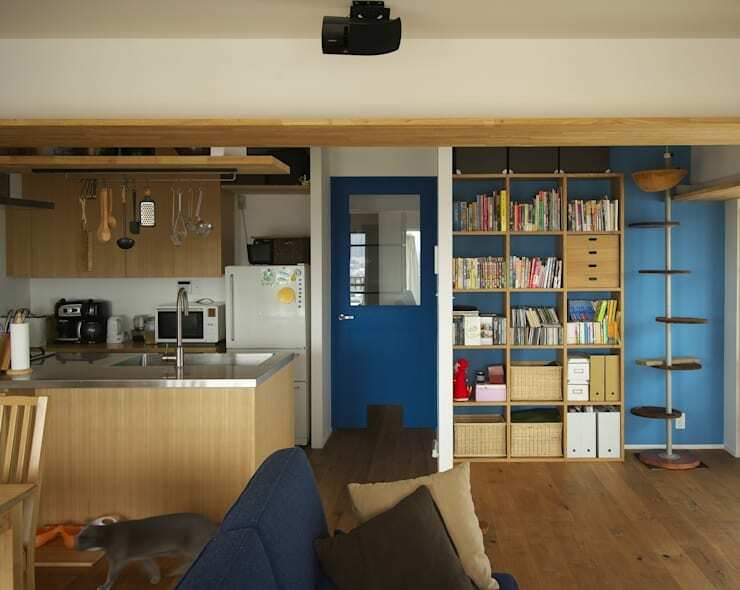 The living room has a long ledge that runs along the length of the room. It can be accessed from the climbing area on the right. For dogs, a toy area should be the absolute minimum. Pets love snoozing, but they are liable to take over your most comfort sofas and spread hair everywhere. 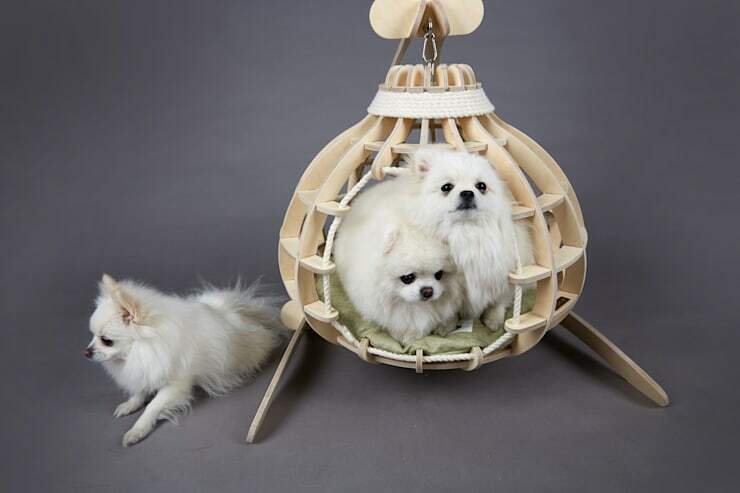 This doesn't bother some owners, but your pet will certainly love to have a sleeping nest like this one by designers Gato-Blanco. The best part is that it's portable too. Dogs and carpet simply do NOT mix. But even if you have a short-haired cat, you'll probably appreciate the ease of having an easily washable floor. This is also helpful for those with large aquariums when water spills are unavoidable. Not yet convinced? Just consider the pros of having an easily washable floor when you have sick pets or are toilet training small puppies. A lot of pets spend time hanging out on balconies but there's nothing worse than leaving on a hard floor. If you don't have a portable kennel, your pets will need some comfy cushions for snoozing in the sun. Make sure the textiles are sturdy and if you have a cat, be prepared for the fabric to get some rough treatment. Your pet needs to feel like they have their own little zone within the home. When it comes to eating and pooping, this will help create a clear sense of routine and order. 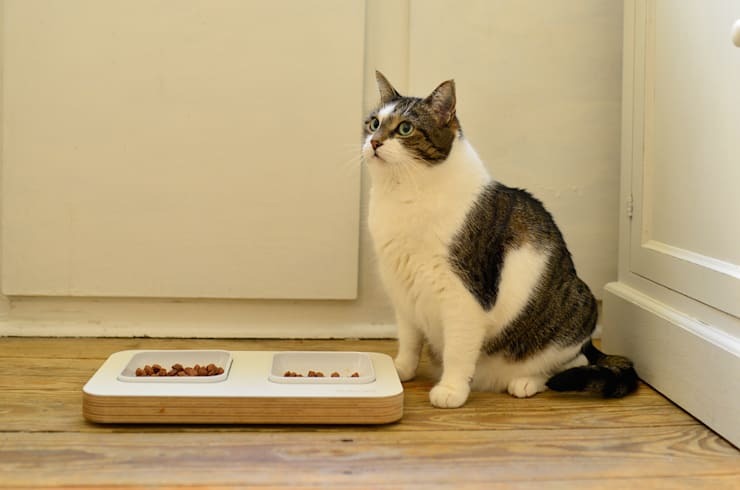 Stylish pet bowls like this are really good because they help contain spills and are easy to clean. 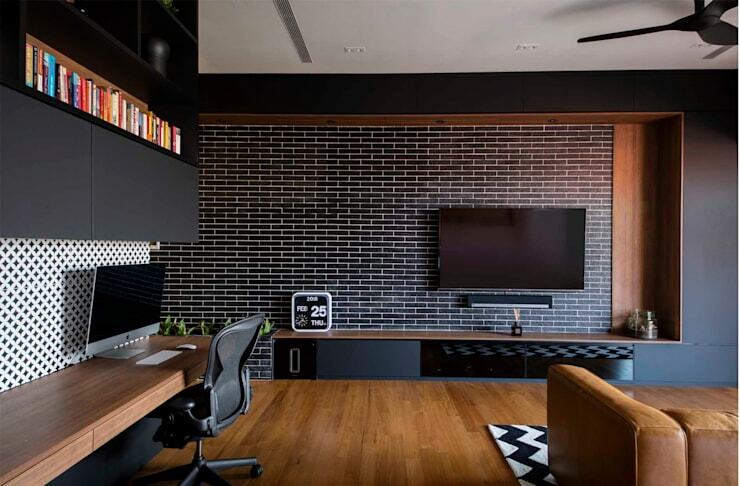 They also add a mini-style statement to the home. 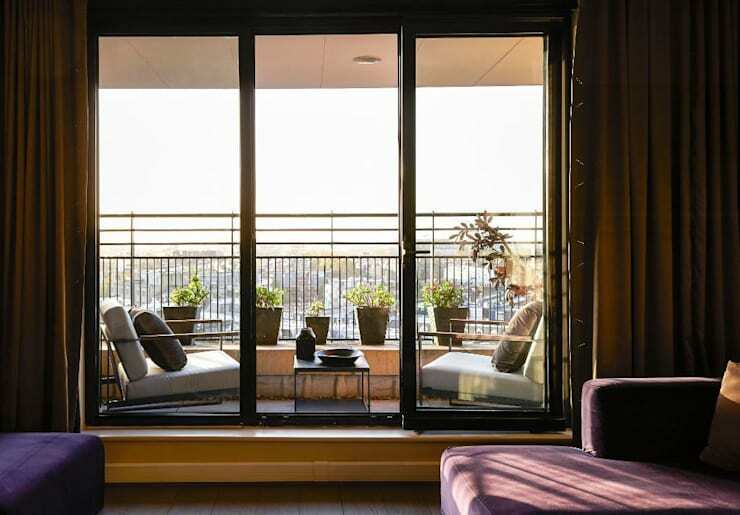 Small dogs can easily slip through wide-set balcony bars and railings. It's best to replace the bars. But if you don't have the option, just thread some plastic clip-locks or wire across the lower half of the railing. 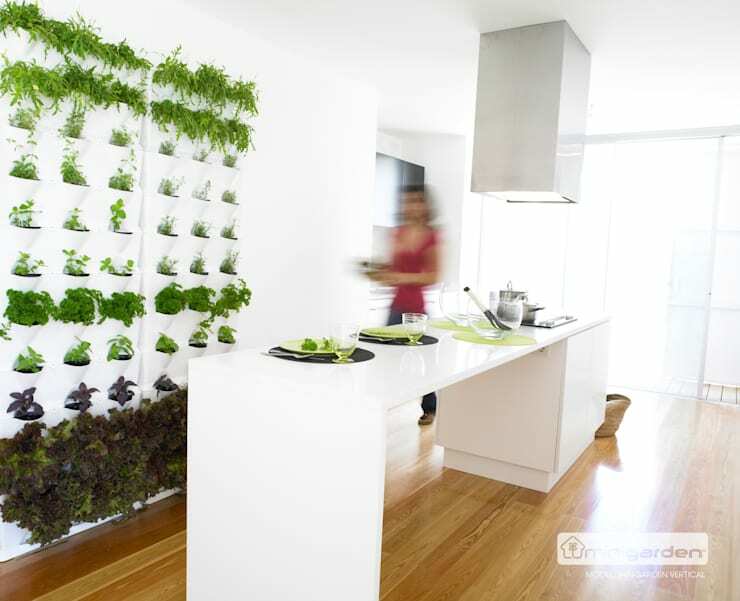 Both dogs and cats tend to nibble on greenery around the home. Check with your local nursery or pet store to make sure that your greenery isn't a danger. Animals are sometimes allergic to common herbs that are harmless for humans. But don't be wary of houseplants altogether; some can be a good source of minerals for your pets. Most dog owners know the trials of washing dogs at home. There's nothing more destructive than a wet dog slipping out of a bathtub and running through the house! 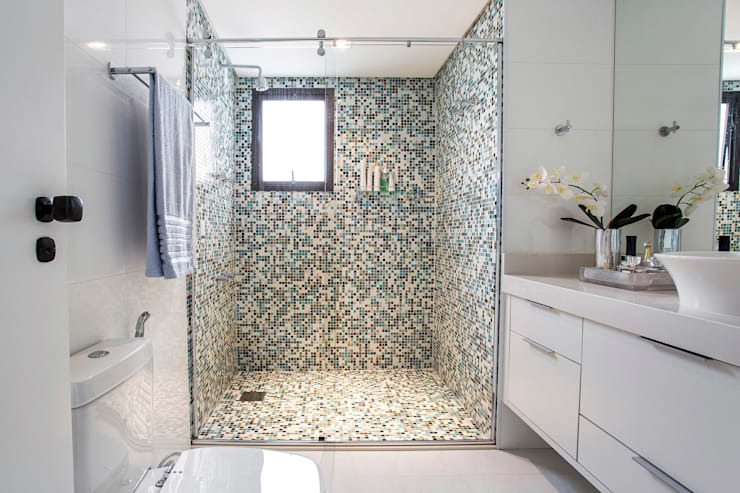 Even if you have a tub, you'll find that a shower room is a far better option. You can close the door to avoid wild escapes and there's plenty of room for the both of you! 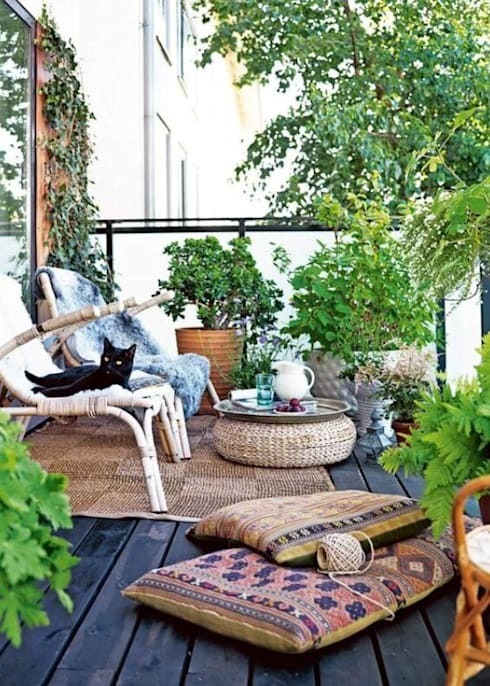 If we got you thinking about styling up your balcony, you'll love 9 tricks to give your small balcony a chic makeover. What do you think of the pet-friendly tips we have covered today?